The first day, January 23 is for the side events, such as Investor and Executive Day which are the two biggest side events. January 24-25 are the main days of the festival. Festival will bring together 4000 participants and over 100 speakers from all over the world. There will be 3 stages, 7 seminar rooms, 19 different focus topics, a large demo and partner area, different side-events and pitching competitions throughout the two main days. From Marketing to AI and Space Technology to Creative Business, the variation of topics ensures that attendees can learn new things about their field as well as get introduced to new and interesting topics. A diverse program includes founder stories from fresh founders as well as unicorn founders, stories of failure and success that have never been told before in front of a big audience. 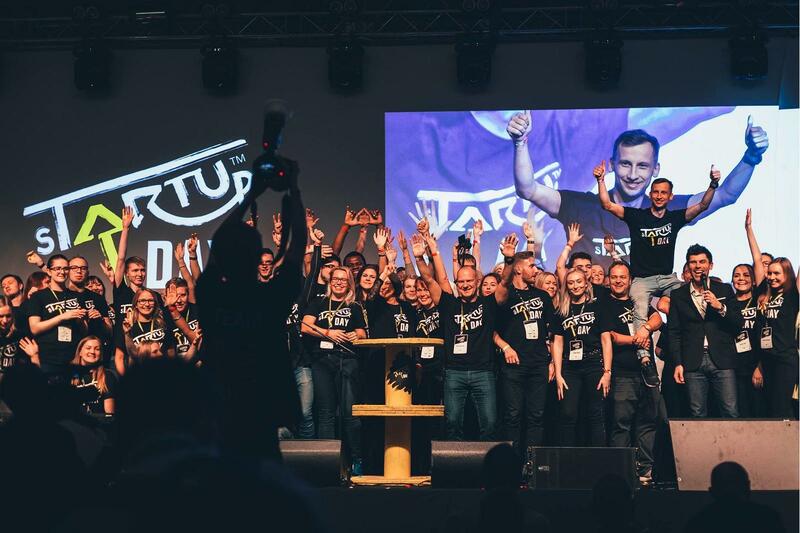 sTARTUp Day 2019 is co-organized by the City of Tartu, University of Tartu, Tartu Science Park, Startup Estonia, and Tartu startup community. It is the largest business festival in the Baltic States that brings together startups, traditional entrepreneurs, investors, innovators, and students.